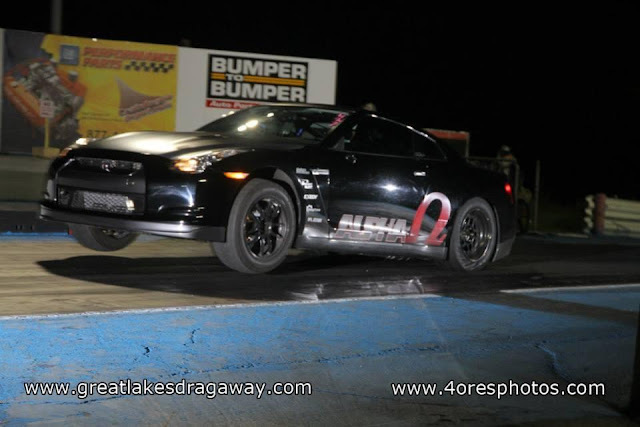 AMS had their Alpha Omega Nissan GT-R back out at Great Lakes Dragway tonight and ran a new best, plus fastest and quickest Nissan GT-R pass. 60 foot was a 1.462 which is fast, but not that great for a low 8 second pass. 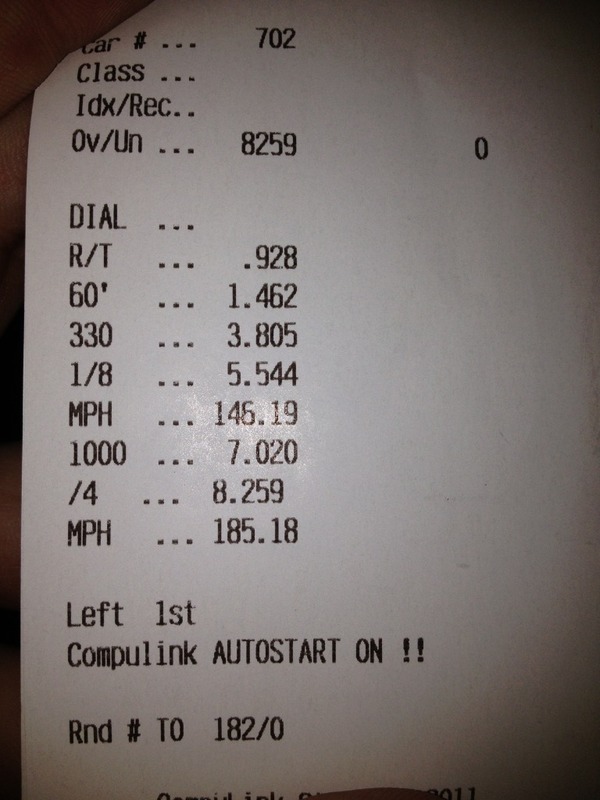 Last time out they did a 1.36 60 foot, and they were pulling the front wheels off the ground.